"Spring is Here" (Haru ga kuru) is the second e-picture book in the Joh's Picture Book Production series. "Spring is Here" is an endearing story set in an expecting family cleverly told through the eyes of an insightful young boy soon to be blessed with a new little sister. The storybook is geared towards early readers and touches on new experiences that any older child will confront when welcoming a new younger sibling. 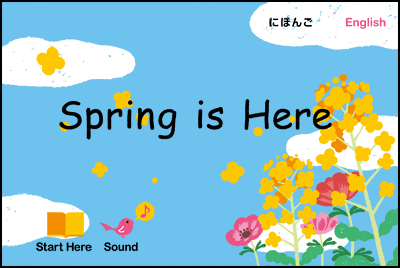 We are now proud to announce the release of a special English adaption/translation of "Spring is Here" as an full-featured update to the existing version on iTunes App Store. The Japanese version, Haru ga kuru, was originally released in December of 2011 and to date has sustained a 4+ rating on iTunes App Store's popular e-picture book charts. If you already have the Japanese version installed, make sure you update your iPad/iPhone for immediate access to the English adaptation. If your family is expecting another wee one, or you just have interest in Japanese children's books, take that extra step and give "Spring is Here" a download -- it is a delightful story perfect for a bedtime read. Joh Sasaki, winner of Japan's 142nd popular literary Naoki Prize, is at the center of the Joh's Picture Book Production project brought to you from the heart of Hokkaido, Japan. This month marks the second anniversary of the Joh's 2010 Picture Book Production's e-picture book called, "The Circus Fire" which is currently downloadable via iTunes App Store. Quickly after its release, "The Circus Fire" quickly climbed to the top of the charts and garnered popular acclaim by various Japanese newspapers, magazines, and many Twitter giants. 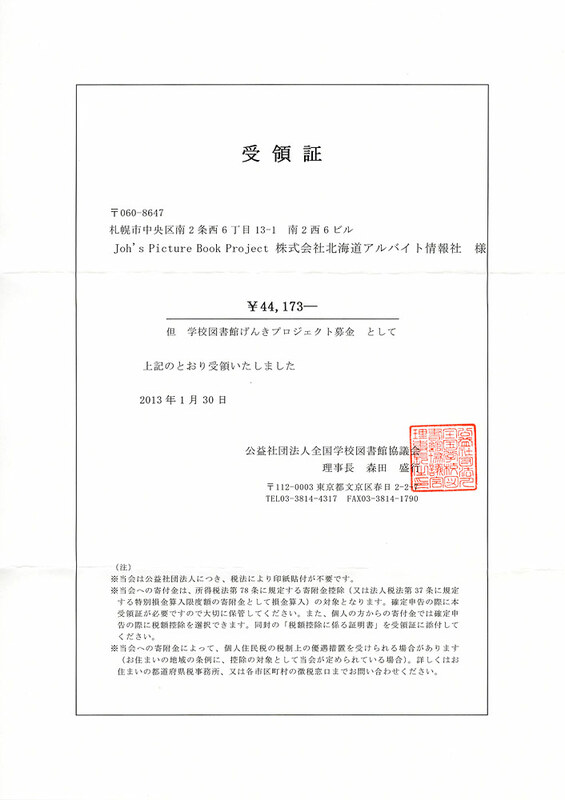 "Spring is Here" won first place in the 2011 Hokkaido Picture Book Scenario Contest and received special attention from the Joh's Picture Book team and project director, Joh Sasaki. Furthermore, "Spring is Here" is a proud picture book production originally conceived and developed by Yoshimi Terasaki who was born and raised on Japan's northern island of Hokkaido. After strictly reviewing 132 scenario entries, Joh tapped the shoulder of Hokkaido native Yoshimi for her superb children's storybook scenario, Miho Sasaki for her brilliant illustration prowess and Shouhei Yamaki, a local musician, for his keen scene-to-song arrangements. In thought and remembrance of our many fellow countrymen and women who suffered greatly during the tragic Tohoku earthquake on March 11, 2011, we are extending a percentage of profits from "Spring of Here" iTunes sales to charity. Any further donations to the Tohoku region hereafter will be made to other projects concerning humanitarian and reconstruction assistance. The Joh's Picture Book Project administrators will notify the selected charity via their official Facebook fan page. Project director Joh Sasaki's comments on "Spring is Here"were as follows, "I personally reviewed every one of the 132 stories submitted to our Hokkaido Picture Book Scenario Contest entry. The one which stood out among all other entries was Yoshimi Terasaki's 'Spring is Here'. It is a cheerful story about a young boy in an family expecting a second child. 'Spring is Here' is packed with whimsical rhymes and charming word play that will surely keep any young reader's attention from cover to cover. This is a story both children and adults will endlessly enjoy." Miho was born and raised in Kitami, Hokkaido. Since 1997, she has successfully developed her own Sapporo-based freelancing design company in a blossoming venture. Over the years, her works have appeared in numerous newspapers, magazines, posters, pamphlets, TV commercials and other popular media taking on multi-faceted forms. Shohei grew up in Sapporo, Hokkaido where he currently resides. He is an established musician in the Sapporo area with an active performance schedule. In 2010 he won first place in the renowned SAPPORO CITY JAZZ 2010 Park Jazz Live Contest. He is also known abroad as he recently performed at the 2011 Toronto International Jazz Festival. His debut jazz album is called "North Wind" and available for purchase on Amazon.com. Shohei is also a popular radio personality with a large fan base. Jake is originally from Portland, Oregon (U.S.A.) with strong Portland-Sapporo Sister City ties and nearly a decade of living in Japan. In 2009 he graduated from Hokkaido University with a masters degree in Business Administration and presently works for a Sapporo-based firm. Jake has worked on a variety of translation projects over the years with "Spring is Here" being his first opportunity to work on a children's book. He currently resides in Sapporo with his family. Joh Sasaki was born in Yubari, Hokkaido Precture, Japan. Upon graduating high school, he opted out of entering the art institute and set out for more hardboiled life experiences. Entering the workforce, he was employed by a Sapporo-based advertising firm as a copywriter, then moved onto a sales development role with a Honda Motors. In 1979 he made his literary debut with 鉄器兵、飛んだ (Tekkihei、tonda) and won the All Yomimono New Novelist Award to start off his writing career. Over the years he wrote more than 50 stories, some of which he was nationally recognized for including Mystery Writers of Japan Prize, Yamamoto Sh_gor_ Prize, and Nitta Jiro Literary Award. He has established himself as a social entertainment writer and chiefly known for his police crime stories, World War II historical fiction and mystery novels. A few of his major debuts that garnered literary acclaim include エトロフ発緊急電 (Etorofu hatsu kinkyuden) for which he won the Yamamoto Shugoro Prize in 1989, not to mention 笑う警官 (Warau keikan), 警官の血 (Keikan no chi) , 五稜郭残党伝 (Goryo_kaku zantouden)、 among many others. In 2010 Joh won the 142nd Naoki Award for his work 廃墟に乞う (Haikyo ni kou"). Many of his works have also been adapted for television, cinema, and performing arts theater. He is currently a member of the Japanese Center of International PEN and the Mystery Writers of Japan Organization. Application developer: SPiRAL Co., Ltd. Publisher: Hokkaido Arbeit Johosha Co., Ltd.
- Swipe your finger from right to left for the next page. Swipe your finger left to right for the previous page. - Toggle the background music by touching the pink bird.